This accolade elevated this discussion to a "reference thread" which moderators took special care in keeping troll free. Example 2: The MSSR or primary range rifle is the king of 600m engagements simply due to lesser recoil. It accounted most of the kills in our year 2000 campaign in central mindanao. Why? against multiple targets and follow through shot in case of a miss nothing beats the 5.56mm round. the lesser recoil ensures target acquisition after recoil. We tested this with the equally accurisided M-21 7.62mm. each equally skilled sniper were required to shoot 6 poppers each and armed with the M21 and MSSR at 400m. The MSSR finished his 6th popper while the other was just starting to aim for his 3rd - FOV issues due to recoil i'm sure you know. Example 3: the cal 50 barret has the needed characteristics for longer range simply because of of its heavier 750 grain bullet which is less prone to that devil wind that all snipers fear. The MSSR cannot compete with this at longer range. But at shorter ranges below 600m the barret has distinct disadvantages. It has a louder sound report, flash and concussion (leaves/bushes moves) allowing easier detection and wow expect counter fire from the enemy. A sniper always ensures he is not detected please don't do this in engaging the enemy with highly trained countersnipers. The barret is best in engagements at 1000m+ in a jungle environment if you can find one. the rule is more max at 400m. The MSSR has a an almost negligble flash an sound report. The 24 inch barrel has its advantages it ensures the total burning of the propellant before the bullet exits the muzzle hence lesser flash as well as higher velocity means lesser leads in moving targets - the 5.56mm round does have at least 250+ fps higher speed the the 7.62mm and cla 50 round - right?. longer barrels adds more velocity and having more range and lethality. and of course lesser concussion and sound report compared to the 7.62 and cal.50 round. the MSSR was adopted by us in 1996 and copied by the IDF and US in 2000 you are more than welcome to learn from our experiences. I really had the same perceptions in my youth when I was a Lt 24 yrs ago. The macho 7.62mm or even the cal 30 (7.62mm x 54) M-1 garand round were superior in all aspects. But my experience change that with advancements in weapons technology as well as my combat and competition experience. 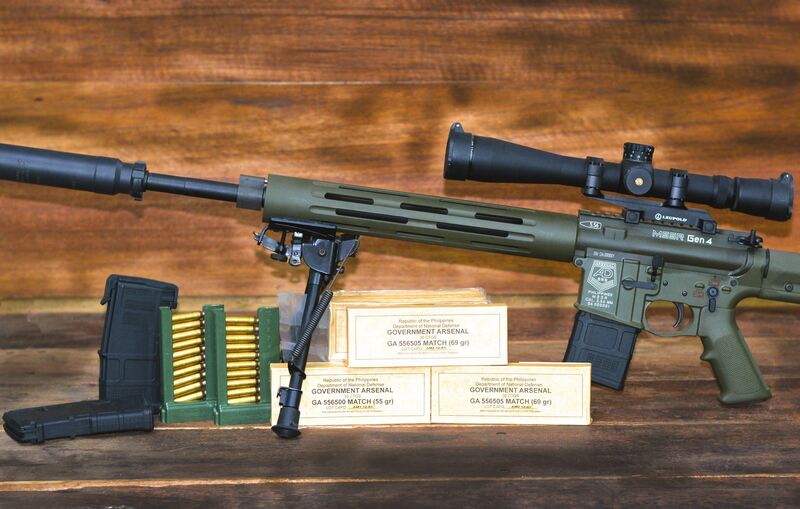 I was amazed with the results of our 2000 year campaign as well as the success of the M-16 in the Service Rifle Competitions in Camp Perry,Ohio which since 1996 it had dominated the championships beating the favorites as the M-1A1 and military versions M-14 rifles. We in the Marine Corps have the only existing sniper school in the Philippines since 1967. We load our own match ammo for 5.56mm and 7.62mm in 69 grain Sierra BTHP match, 75 grain Hornady and 168 grain Sierra in 7.62mm BTHP match as well as subsonic rounds for both calibers for use in our Night Fighting Weapon System. Don't know if there are existing sniper schools in other in southeast asian countries. And please no more lethality issues - shot placement at 600m is not an issue for the MSSR our snipers are trained to hit head shots at 600m and even a cal .22LR at shorter distances can ensure that kill. I've seen that - we operate in the most volatile region in Southeast Asia. MSSR (Marine Scout Sniper Rifle) Gen 4 with Match Ammunition manufactured by the Government Arsenal. I wonder if the ammo/battle pack a sniper carries are all match grade?, or is it mixed with M193/855, for used on non high value targets? Good question, gemini1! Would also like to know. Personally, 1-2 magazines worth of match grade ammo seems reasonable, then the rest could be standard rounds for regular engagements. According to GA Dir. Martir, they carry purely 69gr match ammo. The spotter who carries the M203 equipped carbine/rifle on the other hand, has regular ammo. Is this photo uploaded to FB from Government Arsenal? Need to be posted in Wikipedia for the MSSR article. There a FB link to the image? 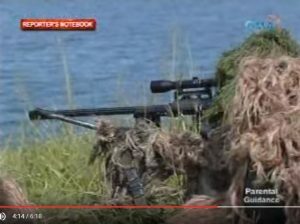 Re: Why 5.56mm sniping rifles for the AFP? OT: Hi sir A, Can we make a thread on "MSSR"-build and invite BGEN Martir on discussions? Parts used and measurements?. I have a M16A1 upper laying around here, might as well build it and replicate the 1st gen MSSR for recreational use as well as homage to his work and efforts. 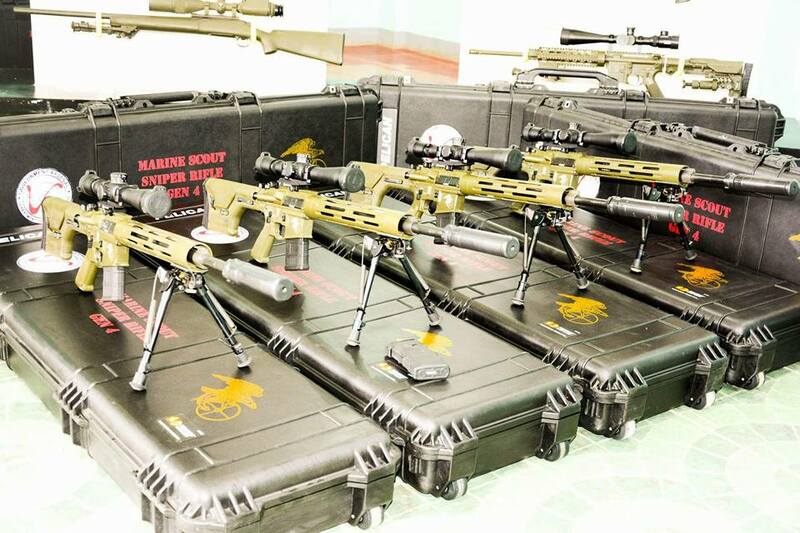 On October 27, 2016, the Philippine Navy received 36 refurbished and upgraded rifles. 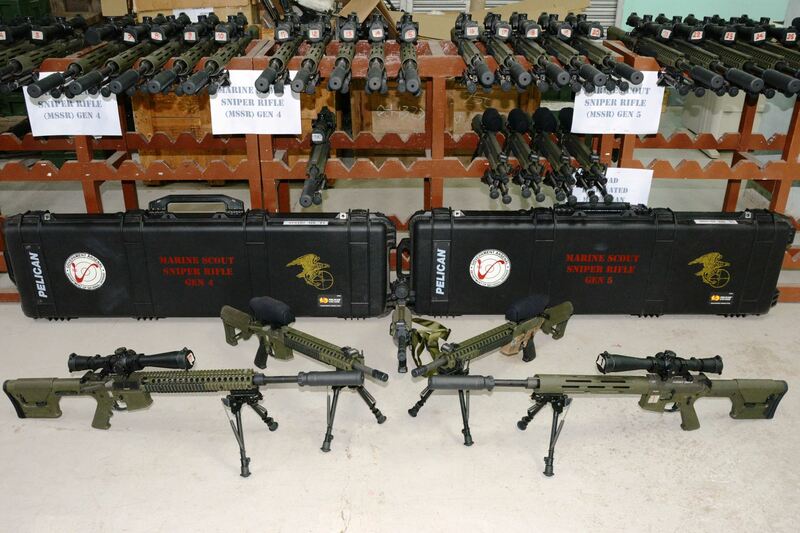 Ten units were in Squad Designated Marksman Rifle (SDMR) configuration w/ trijicon optical sight. 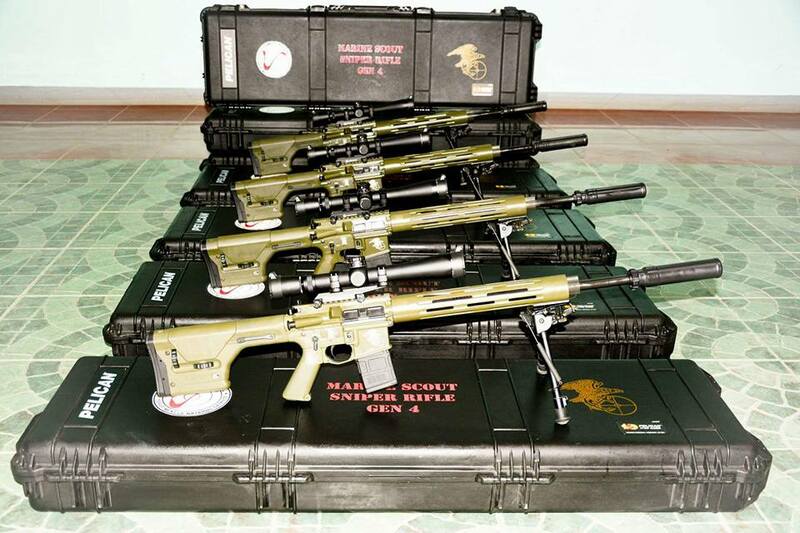 Another 10 units were in MSSR Gen5 configuration with AAC sound suppressors. 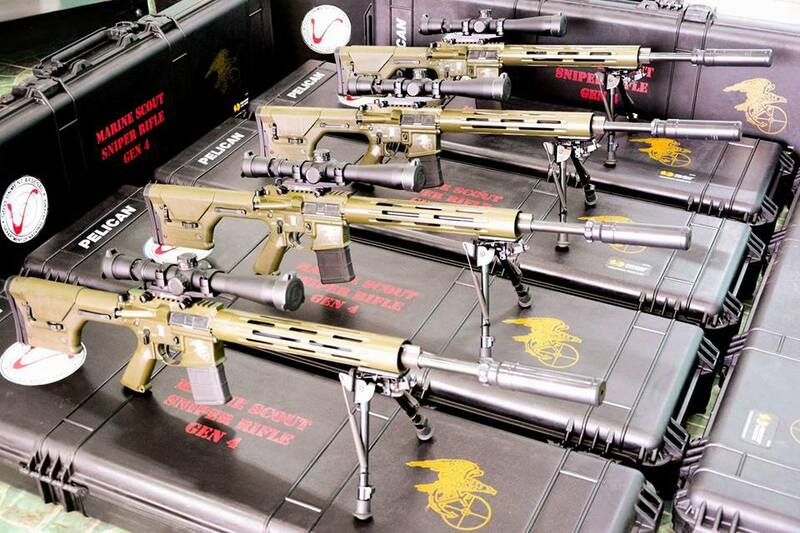 The remaining 16 units were in MSSR Gen-4 w/ AAC sound suppressors. 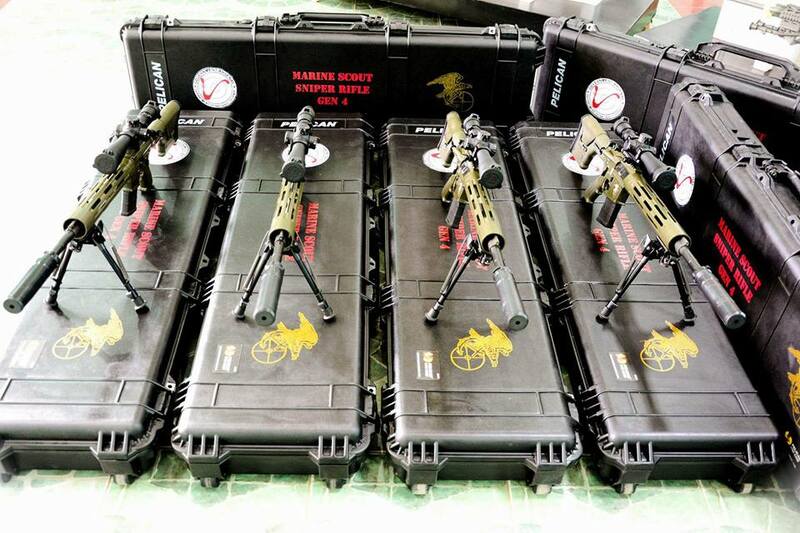 The Philippine Marines Corps (PMC) officials and personnel hauled their upgraded 10 units 5.56mm MSSR Gen-4 with thousands of rounds of its 69 grain match ammo, and one (1) unit of Machine Gun 7.62mm E4 this morning of May 26, 2017 at the GA SARUU. All items will be for immediate deployment to Marawi City for the utilization of the government troops who are currently fighting the terrorist group. 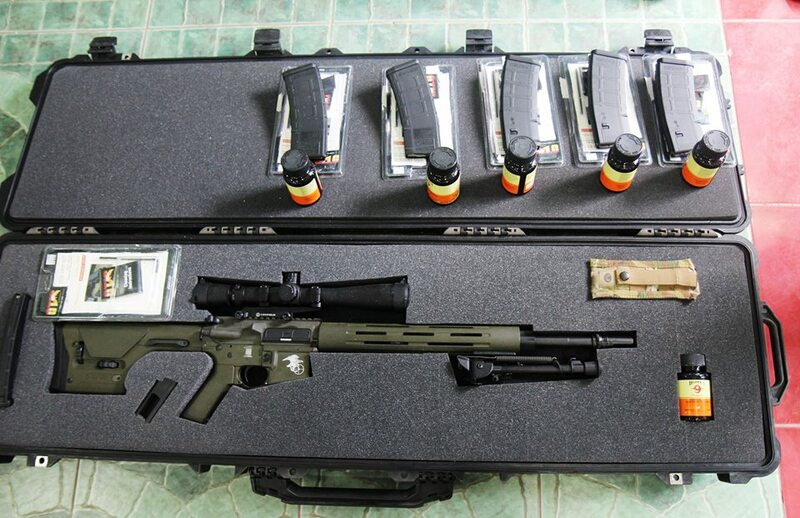 Special Purpose Rifle (SPR) for the Philippine Army, a configuration that's based on the US Navy Mk.12 SPR. 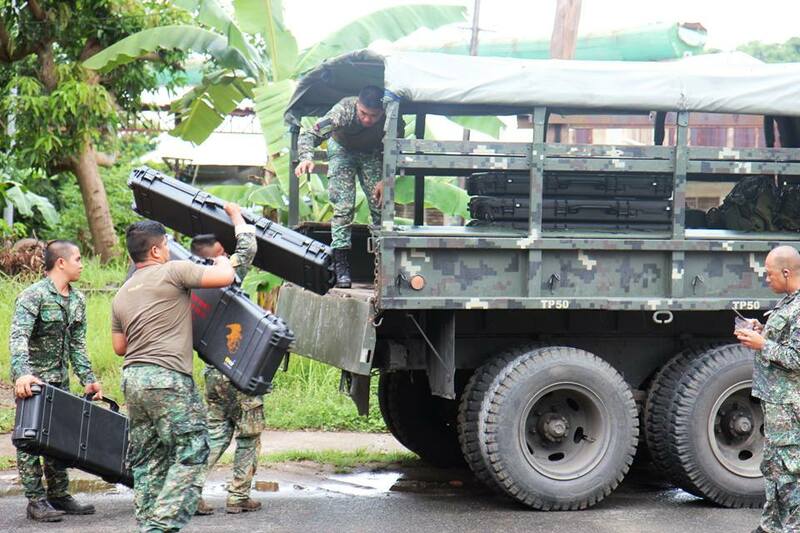 The First Scout Rangers Regiment (SRR), PA thru their civilian SAO Ms. Nenita Quismondo hauled their refurbished two (2) units 5.56mm Special Purpose Rifles w/ match ammo at the SARUU on June 8, 2017. 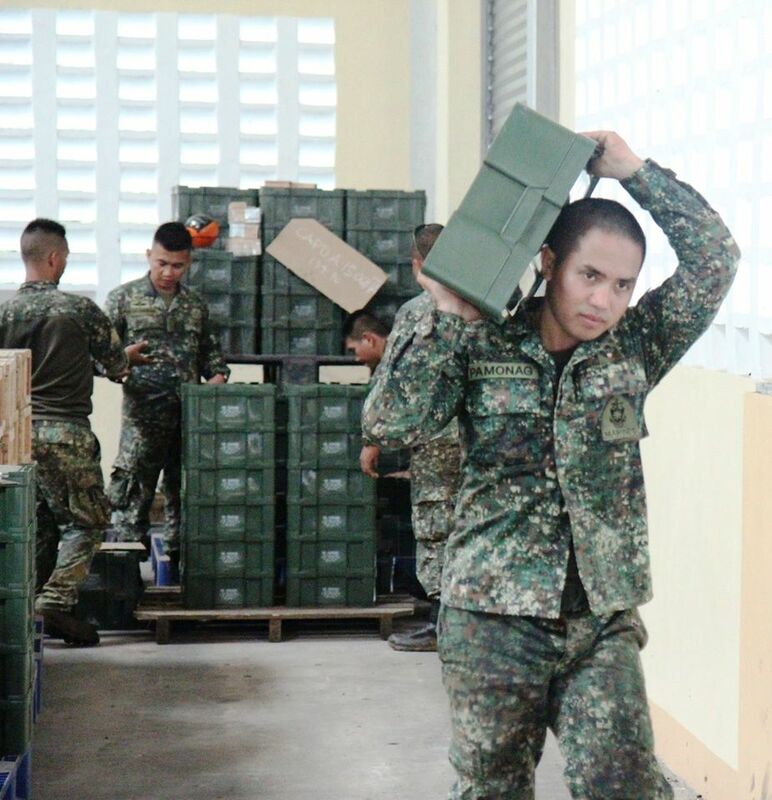 Since 1974, the Government Arsenal (GA) supports the Armed Forces of the Philippines (AFP) with its finished products.